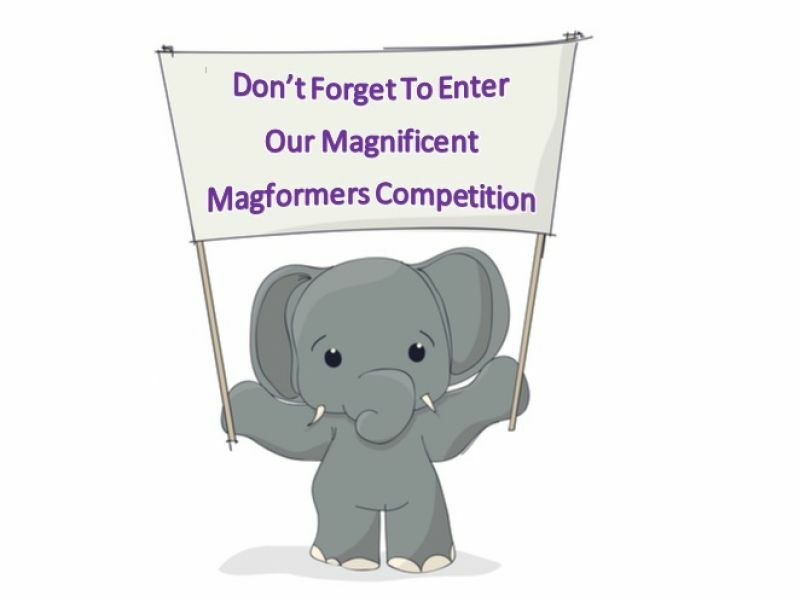 Don’t Forget Our Magnificent Magformers Competition Closes On Monday – Have You Entered Yet? News: Don’t Forget Our Magnificent Magformers Competition Closes On Monday – Have You Entered Yet? There are just a few days left to enter our competition to win a set of magnificent Magformers toys. The competition closes at 23:59 GMT on Monday 1st April 2019. So, if you haven’t entered yet, what are you waiting for?! We’ve got a FANTASTIC set of prizes to give away. Our first prize winner will receive the absolutely brilliant Magformers Expert Set, which contains a whopping 472 pieces and accessories (worth £574.99). With this set, kids can spend hours building models in all shapes and sizes, with pieces from some of Magformers’ most popular sets, including the Designer, Carnival, and Cruiser sets. For eleven lucky runners up, we have marvellous Crawl Friends Sets; these sets contain 55 pieces and accessories (worth £99.99), including two walking blocks and a power blocks. Kids can make creative creatures of their own that really walk! All you have to do to be in with a chance of winning one of these amazing prizes is to submit your name and a contact email address using our Competition Form. Winners will be notified by email by 14th April. Today sees the release of Disney’s live action version of their classic film Dumbo. It is often claimed that elephants “never forget” and, with Stikins, you can make sure that your children never forget to keep hold of their own belongings. We can only print letters, numbers, and basic punctuation. So no images or emoji. You can use UP TO 27 characters per line. We recommend 15-20 to get the best font size. Our name labels are ONE SIZE ONLY; they do NOT get bigger to accommodate more characters. Instead, our system counts the number of characters you have requested and automatically selects the largest font size possible that will allow all of those characters to fit on your name labels. You can use one line or two lines of text. If you need fewer than 12 characters IN TOTAL, the one line option produces a larger font size. For more characters we recommend sticking with the default of two lines. Most customers enter a first name on the top line and a surname on the bottom line OR a full name on the top line and a piece of information on the bottom line. This is usually a contact phone number but you could also request a school/class name, medical/allergy information, or a friendly greeting (e.g. “I belong to”). We cannot split a pack between different names; if you want to share a pack between two or more people, you can try being a bit creative with your text. See our FAQs for some suggestions. If you forget to order Stikins for a school trip, holiday, or camp – or just the new school term – don’t panic! We offer super quick despatch and delivery. We print and post name labels every day (Monday to Friday) up to 3pm, so your order will always be despatched on the same or next working day. Standard delivery (which is free!) is via Royal Mail’s first class service but for super urgent orders we also offer a special delivery service (for £6.30), which guarantees next working day delivery by 1pm. Find out more about Stikins name labels here or order a set today using our online order form. Feeling lucky? Head on over to our Competition Page to be in with a chance to win a set of magnificent Magformers! Next blog post: Our Magnificent Magformers Competition Has Closed But Our Brilliant Botley Competition Has Just Begun!